Learn bodyboarding in Cornwall or progress your level of riding with a course of Apprentice Bodyboarding Lessons at Newquay Activity Centre, open to all ages. This series of three lessons is the perfect way to build a strong foundation of bodyboarding skills. Offering a progressive format of tuition, the frequency and number of Apprentice Bodyboarding Lessons will enable you to learn and practise bodyboarding techniques quickly and more efficiently than you would with a one-off lesson. The initial goals come quickly so expect fast improvements that will prepare you for most ocean conditions. 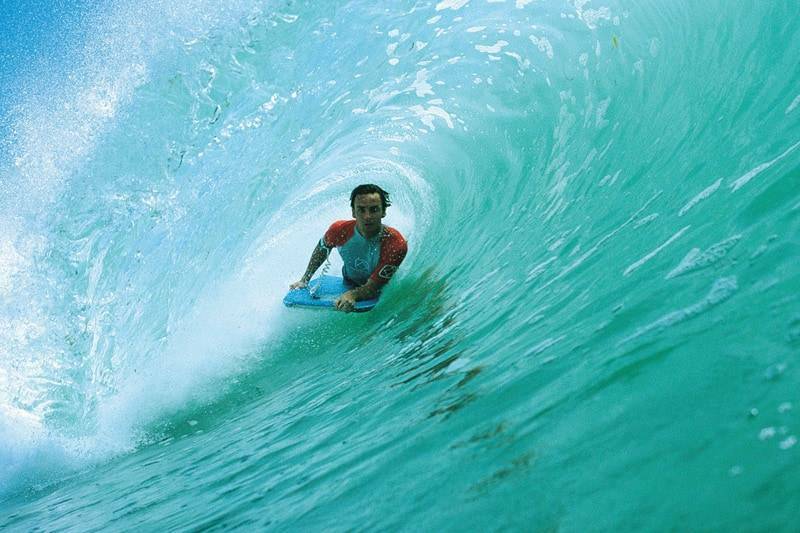 Certain bodyboarding tricks can take a while to master so the more practice you put in the better you’ll be. You’ll get suited up in Rip Curl wetsuits and ID vests in our heated changing rooms, with lockers to store your clothes and valuables, before hitting Towan Beach to begin your bodyboarding lessons. Newquay Activity Centre is the only specialist bodyboarding school in Cornwall that uses a 1:5 ratio of teachers to students, we’re a certified Surfing England Centre of Excellence and all our bodyboarding lessons have been designed by British Team Coach, Rob Barber. This means when you learn bodyboarding in Cornwall with us you’re guaranteed the highest level of unparalleled tuition in the industry.